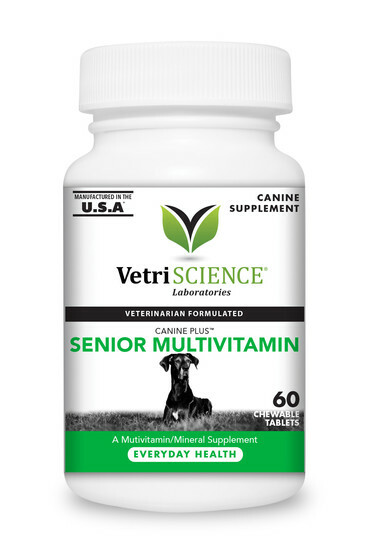 Canine Plus™ Senior Multivitamin for dogs provides the added nutrients, vitamins and antioxidants that keep senior dogs healthy inside and out. 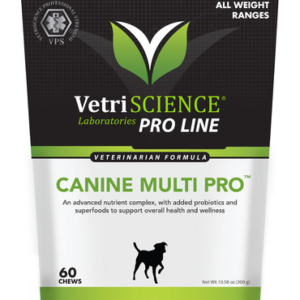 This updated formula incorporates over 25 nutrients to meet the health needs of dogs including major systems like cardiovascular, brain, liver and immune. The new Canine Plus™ Senior formula includes Arginine, which assists with system detoxification while helping to maintain hormone levels and function as well as providing additional immune function support. We have increased the levels of B vitamins that are recommended for energy production while also supporting the nervous system, skin, hair and general muscle tone. Inositol, also known as vitamin B8, has been included to add extra support to the cardiovascular and cognitive systems. 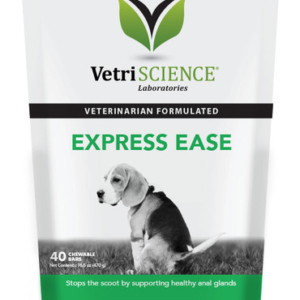 B vitamins also provide the benefit of reducing the effect of stress on the body as our pets age. 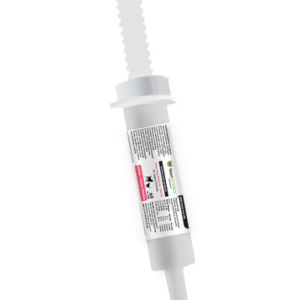 Feeding Directions: Under 25 lbs: … 1/2 tablet daily. 25 – 75 lbs: … 1 tablet daily. Over 75 lbs: … 2 tablets daily.